Freelancers have to learn how to prepare different kinds of documents. The consultancies they run depend on this skill. 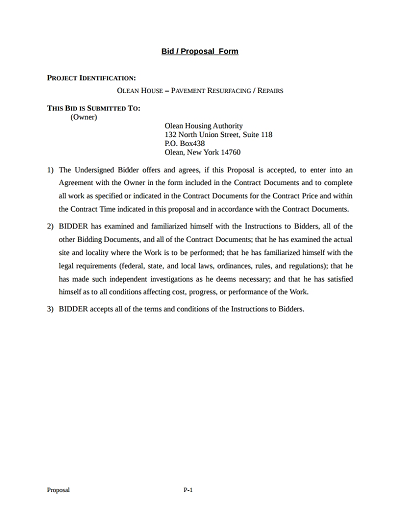 A good example of one document consultants should learn to prepare is the bid proposal. You will not always get freelance clients the way you want. At times, you would have to prepare and submit bids to the clients whose projects you wish to get a chance of handling. This wouldn’t happen if you fail to create the best proposal. Learn how to do that below. Generally, the purpose of the proposal is to inform the client about your qualifications. The proposal shows why you’re the best qualified for the project in question. Here, qualifications are not limited to skills and education alone. The best consultants can prove that they possess the right experience in tackling the project. More importantly, the freelancer’s ability to handle the project must come out clearly in the proposal. Use the proposal to show your record regarding other similar projects you have handled. The bid proposal should never be all over the place. Its focus should never be on creating more confusion. Instead, it should be on the need for specific results. This would require proposing the kind of work or service that has specific goals. It’s not difficult to stay focused on your goals. You would need to stop multitasking, set aside days for specific tasks, and be psyched up for work. With this in place, your freelance operations would be on a good footing. Freelancers can struggle with the urge to bid on every project they see. Consultants who do this feel pressured to find work to keep the businesses afloat and ensure the bank accounts are full of money. Often, this leaves them with a load of work that they can’t handle. That can be terrible news. A good habit to develop is to bid only on what you’re capable of handling well. Leave everything else alone. This way, you would be building credibility with your clients. In freelancing, timing is everything. However, you have to be careful not to rush through some crucial steps. For example, don’t rush to submit the bid proposal before going through the client’s instructions to ensure that you understand everything clearly. Otherwise, you may find yourself presenting a proposal that’s nowhere near what the client expected. In such cases, the clients would have no option than to turn to a different freelancer. It can be tempting to copy a bid proposal that you saw elsewhere, especially when the instructions and requirements seem similar. A better approach would be to create a unique proposal. Customize it based on the clients’ instructions and requirements. Hackneyed proposals are bad in freelancing. The last thing your freelancing needs is copy-and-pasted content on the proposal. Clients are suave enough to notice hackneyed content. This point ties in well with the previous ones. The proposal should be professional, as much as possible. Nevertheless, it’s important to portray that without sounding impersonal. Any bid proposal that sounds forced always comes out as artificial. Such proposals never create the kind of impression you need from your clients. In fact, clients never approve proposals that come out as artificial, impersonal and forced. Lastly, it’s normal for freelancers to do whatever it takes to convince clients to hire them. Many times, this involves underbidding. 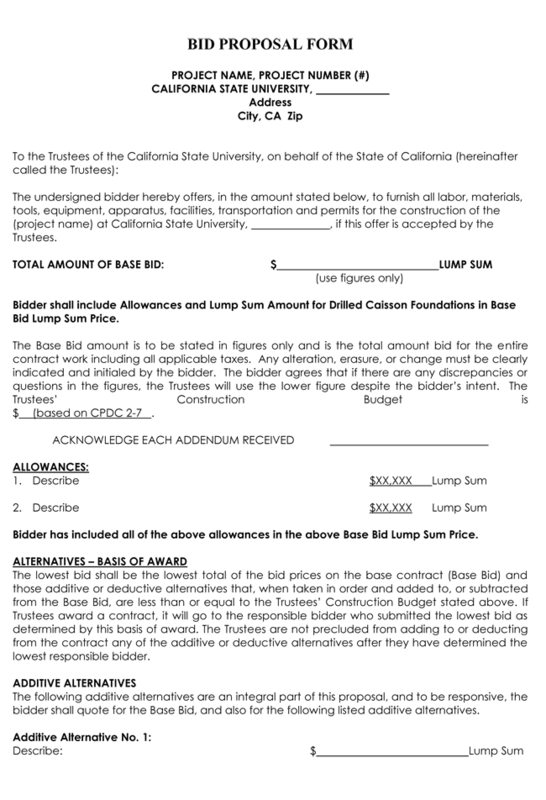 You may get the project by underbidding. However, that doesn’t guarantee you the profits you need to sustain the business. Bid too low, and your clients would be left wondering if the quality is good enough. Prepare the proposal based on the strengths and the credentials that you bring to the table.